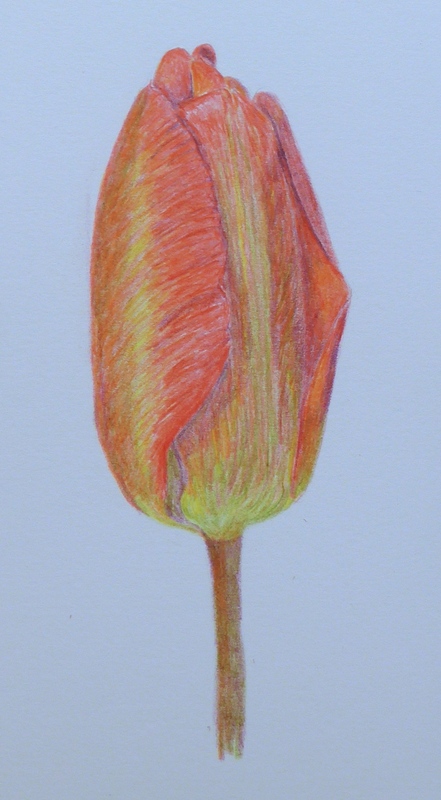 My theme has been tulips this week (and last week), tulipomania has struck the depths of Suffolk. 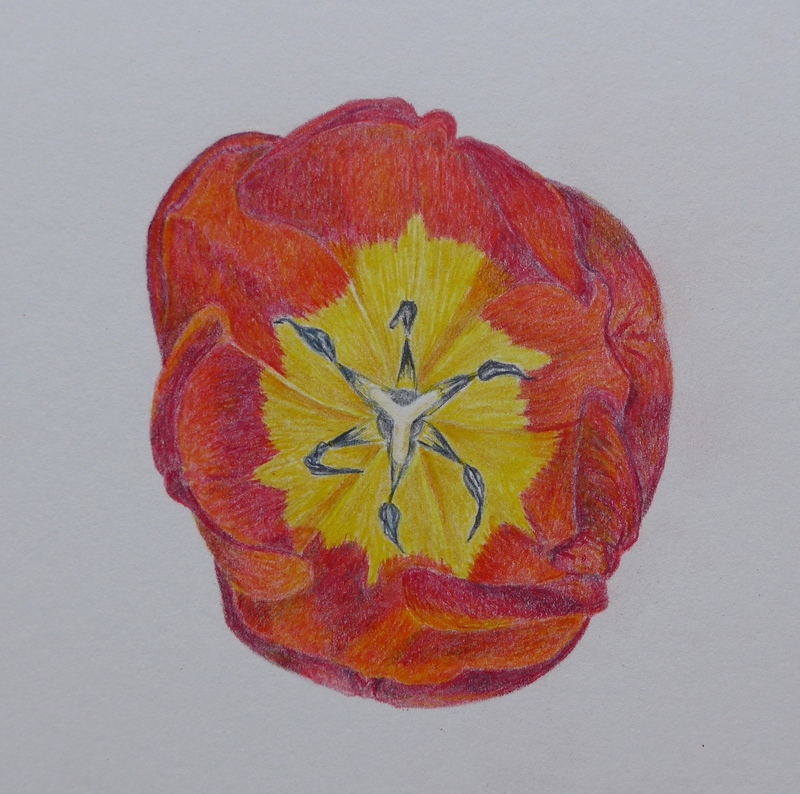 I only have one clump of tulips in the garden and I sacrificed them all for the sake of Art. 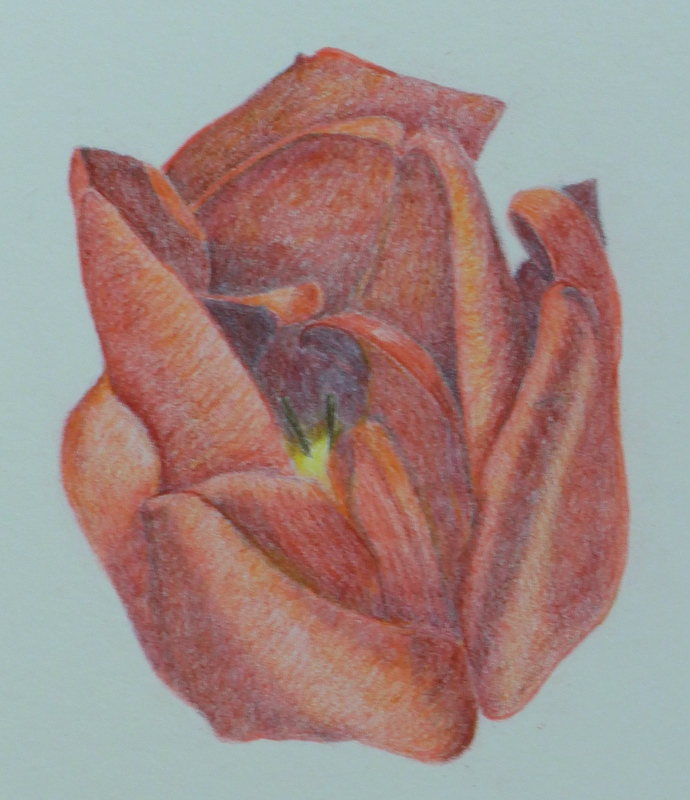 I have not been finding the the time to do ‘botanicals’ what with ‘a drawing a day’ and the rest of life intervening so this week I combined them with my series of tulip drawings. 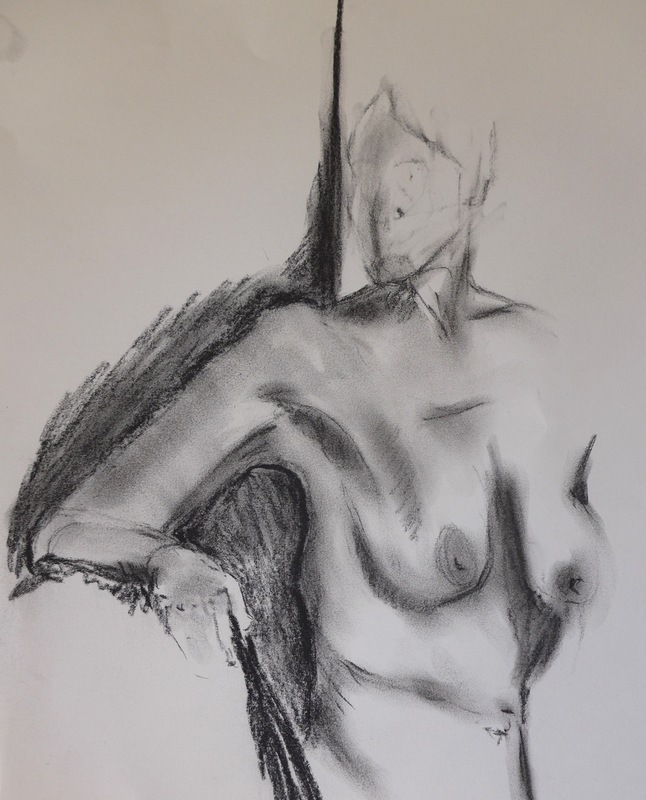 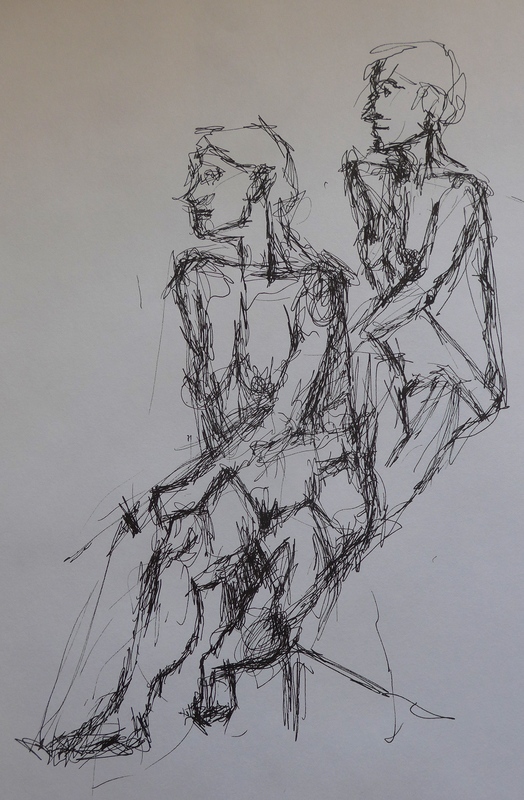 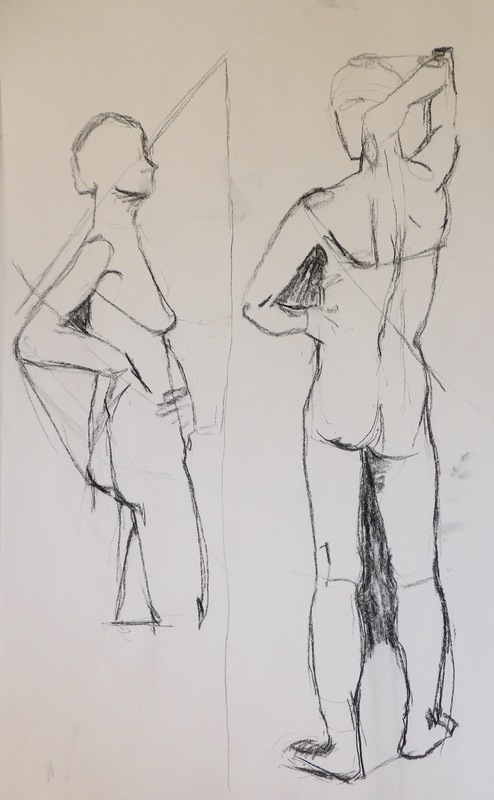 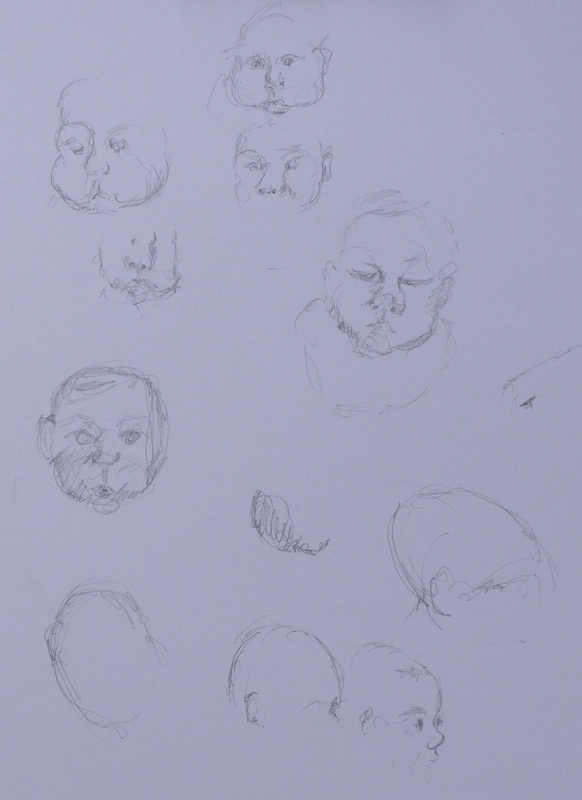 I am also happy that life drawing classes have resumed although not so happy that they are in the evening as I am already tired before I even start. 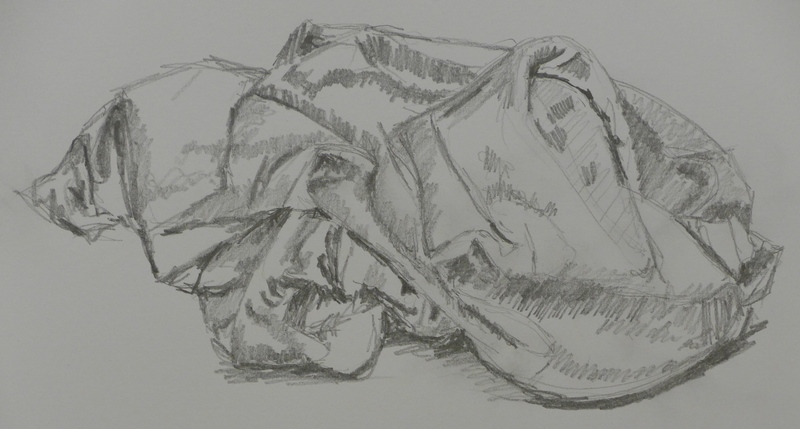 Still a new teacher (Ed Cooper) made for a change of ideas and I ended up doing one drawing left-handed – a very interesting experiment. 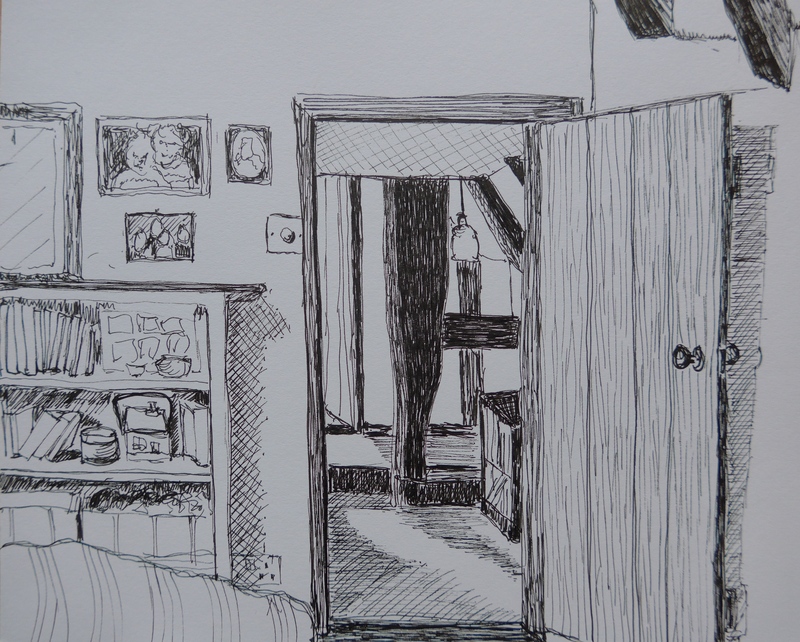 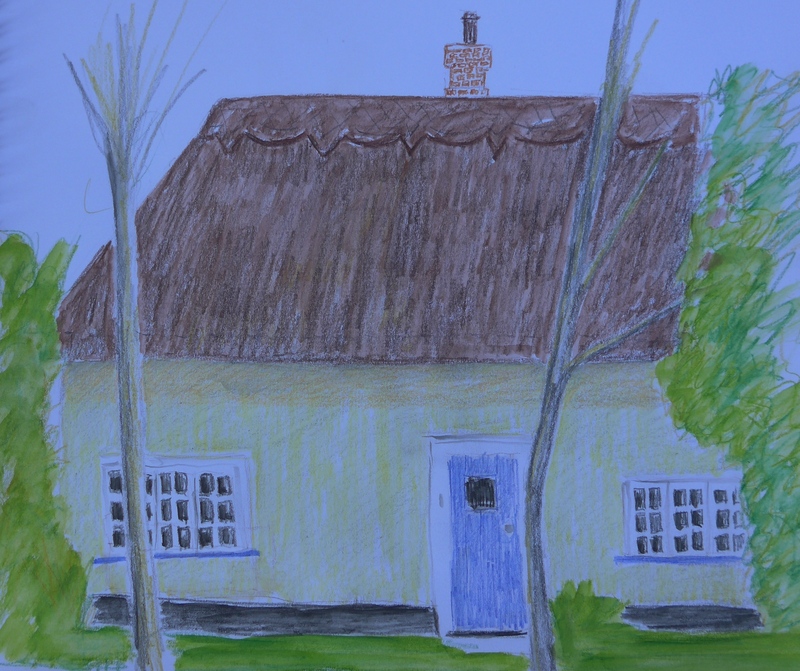 I also produced a shockingly bad picture of my house which looks like a baby drew it, the proportions are so wrong its laughable, I seem to have an issue with consistency……sometimes I feel I am improving and then bang! 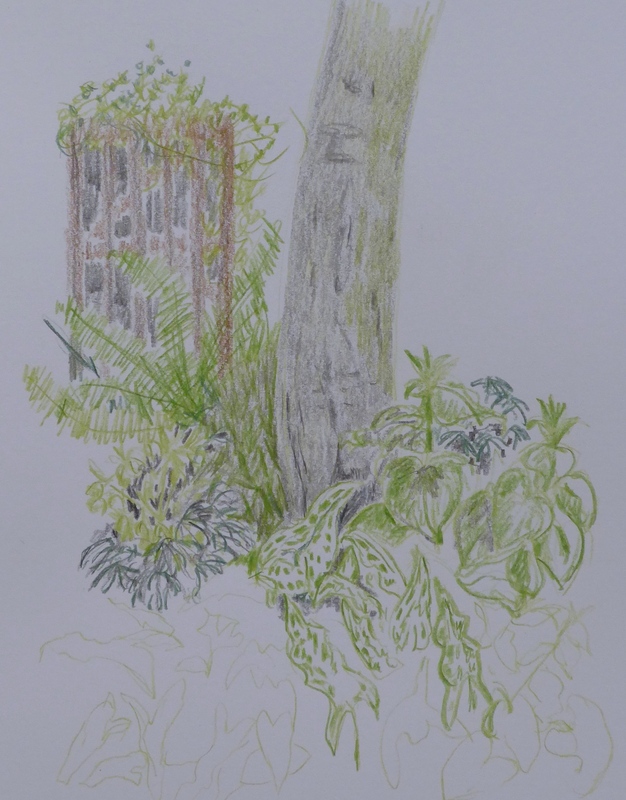 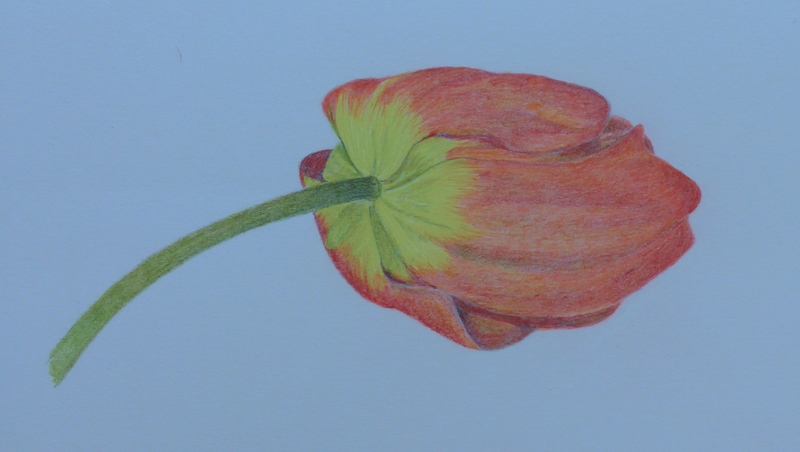 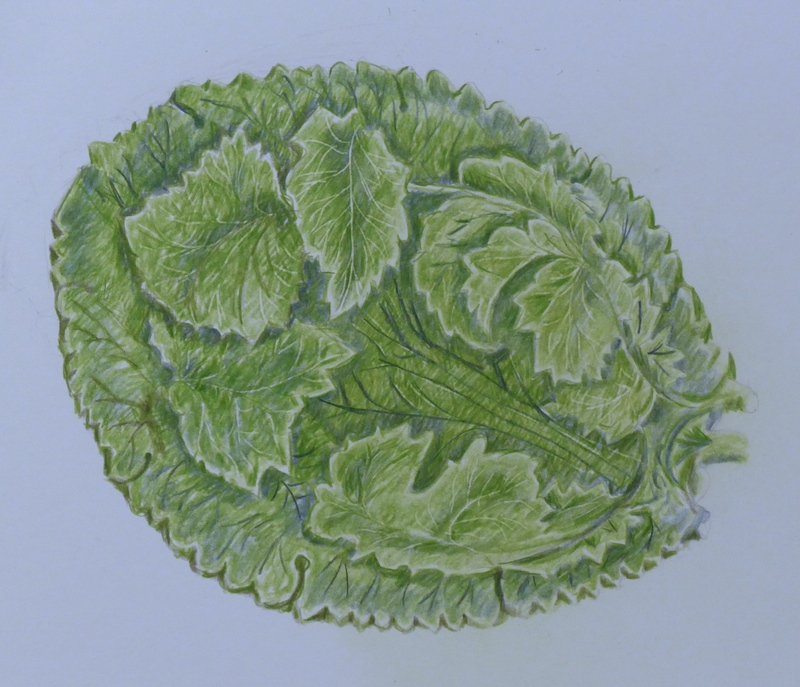 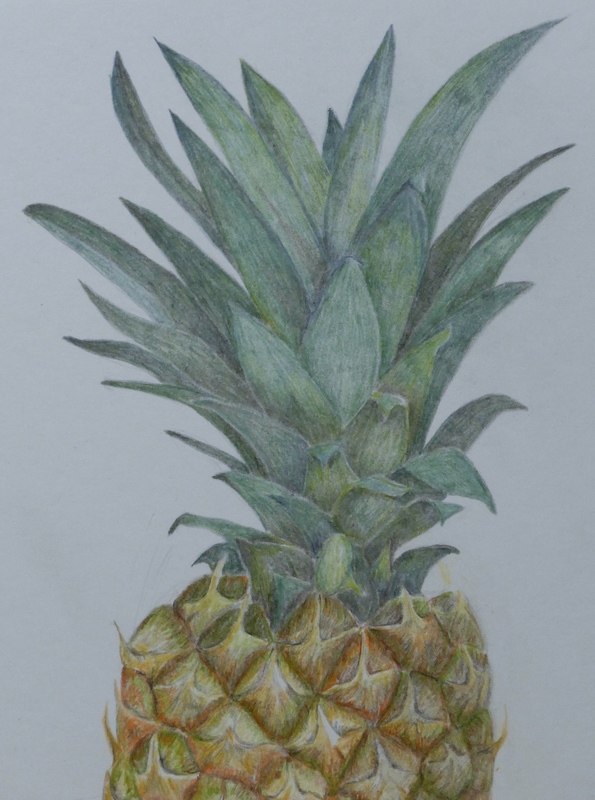 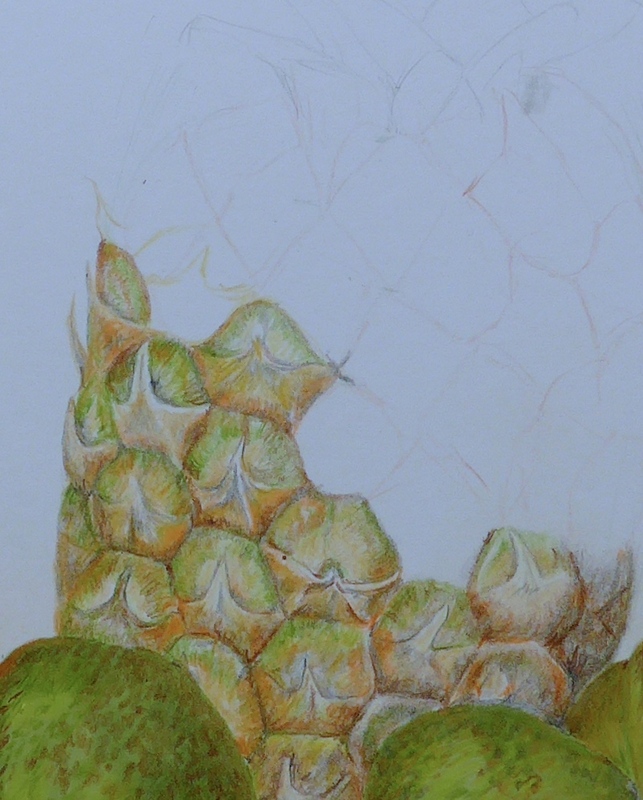 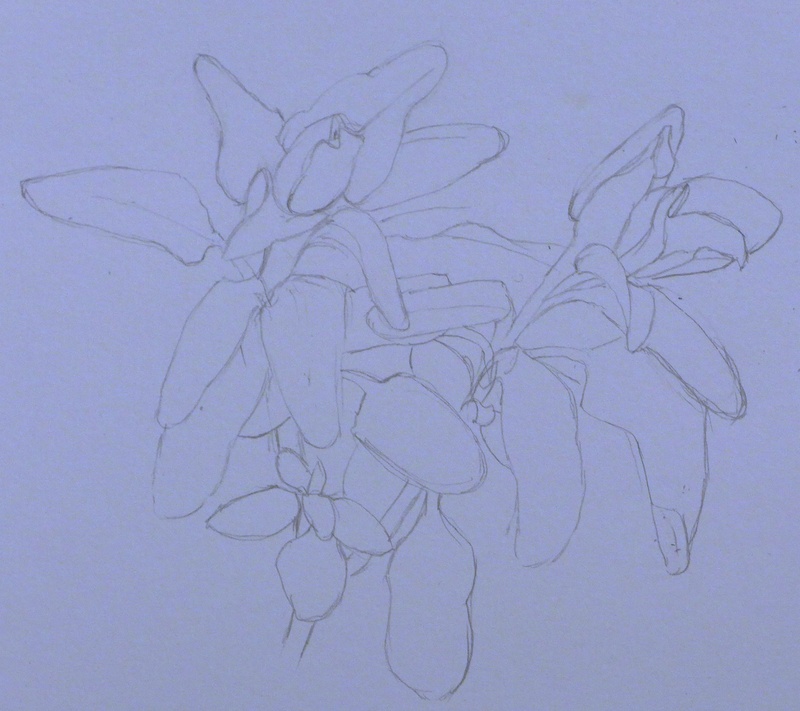 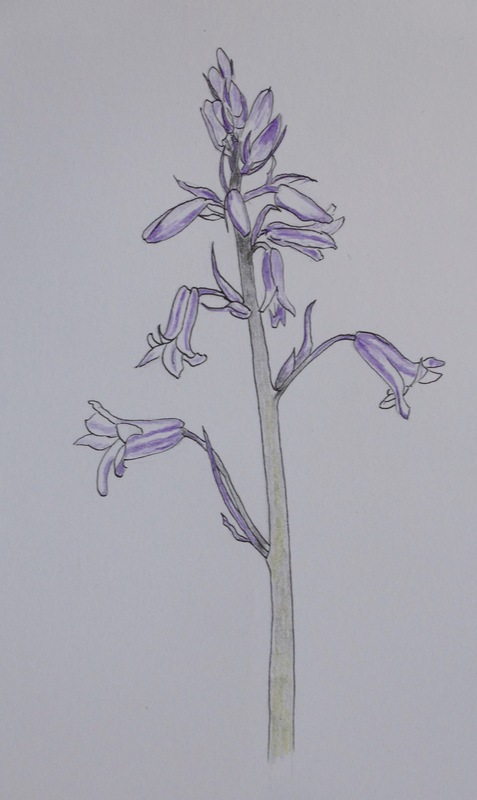 This entry was posted in Drawing a Day, Draws Shoots and Leaves and tagged a drawing a day, botanical, colored pencil, coloured pencil, daily drawing, tulip on April 22, 2015 by Draws Shoots and Leaves. 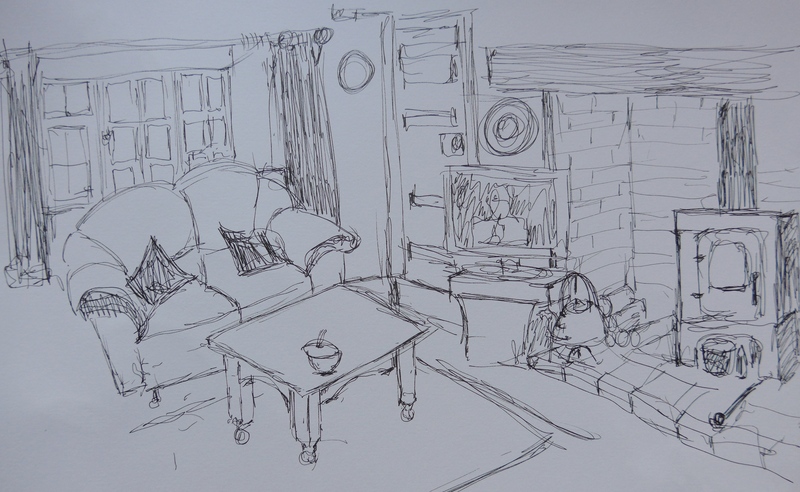 Here in Suffolk the spring seems finally to have arrived, and we sat outside with our afternoon tea in the sunshine today, soaking up the warmth. 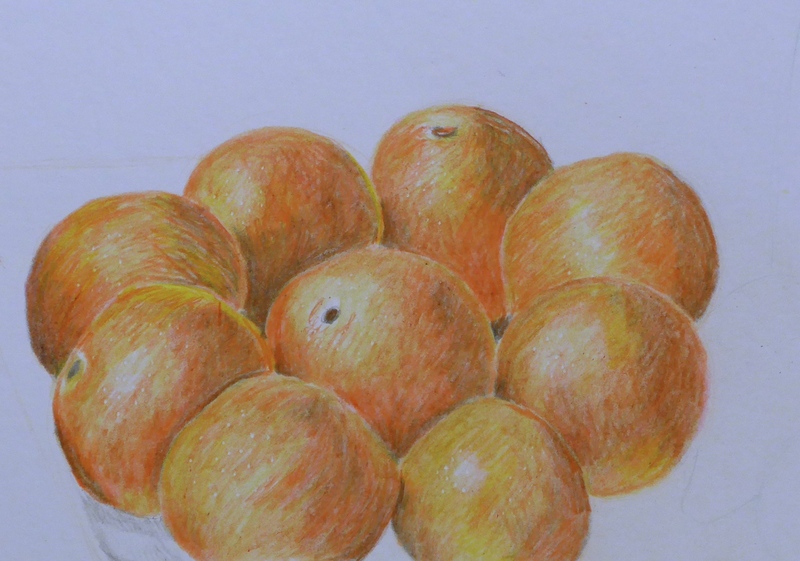 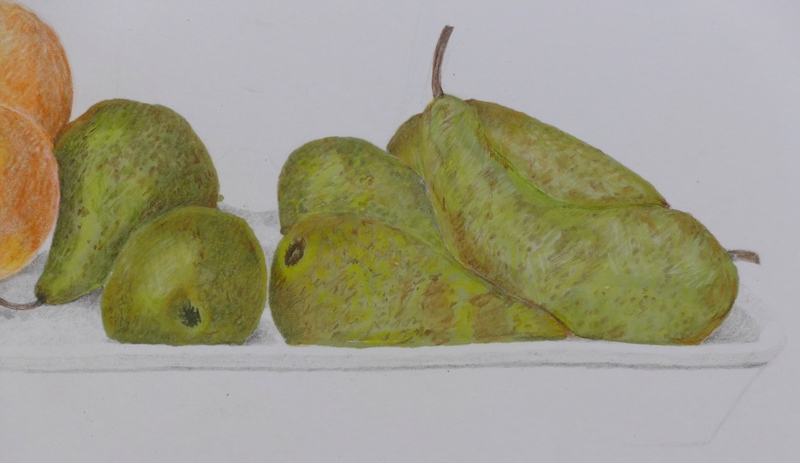 Drawing has been fun, and I have spent several days on one fruit bowl arrangement, elements of which singly are OK but all together are a bit off. 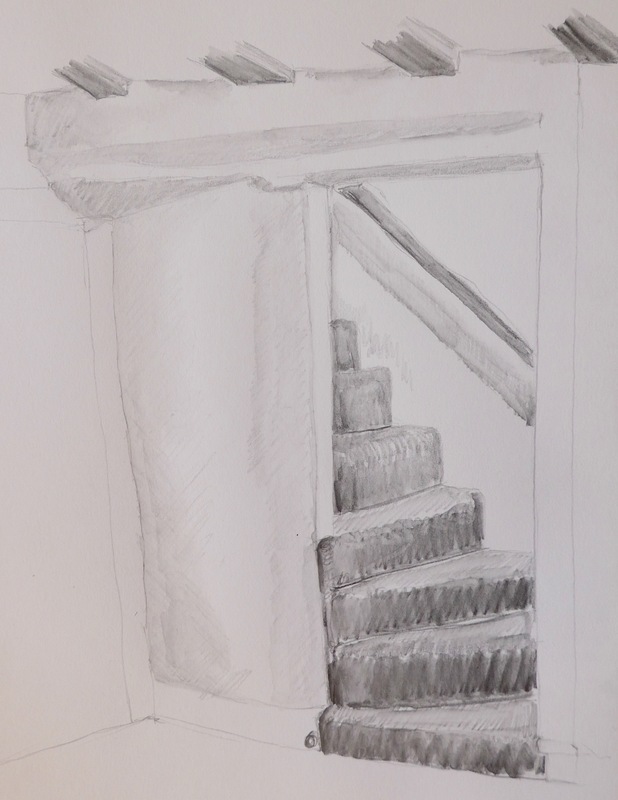 Note to self: concentrate on composition and not just set off blindly hoping that it will all be well in the end – not always the case. 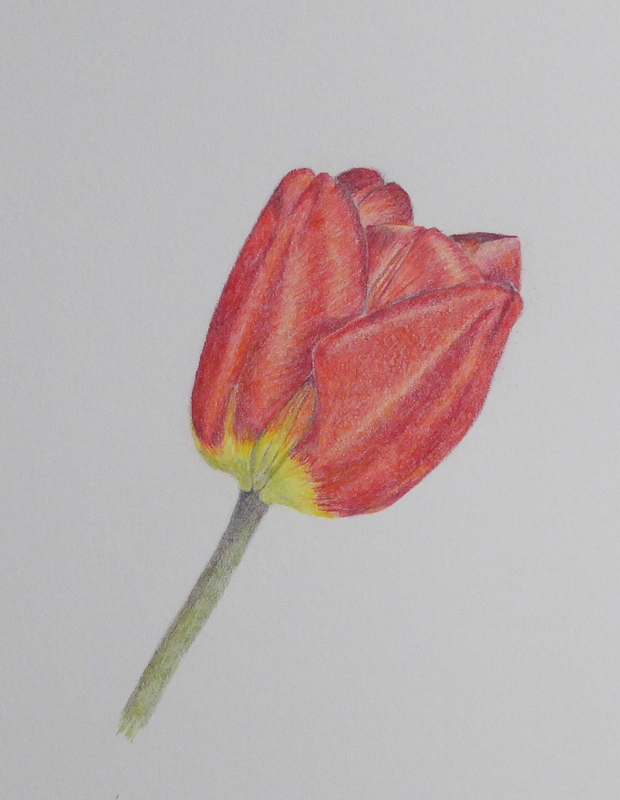 Have kept to 20 basic colours, plus the addition of a stronger red for the last tulip drawing. 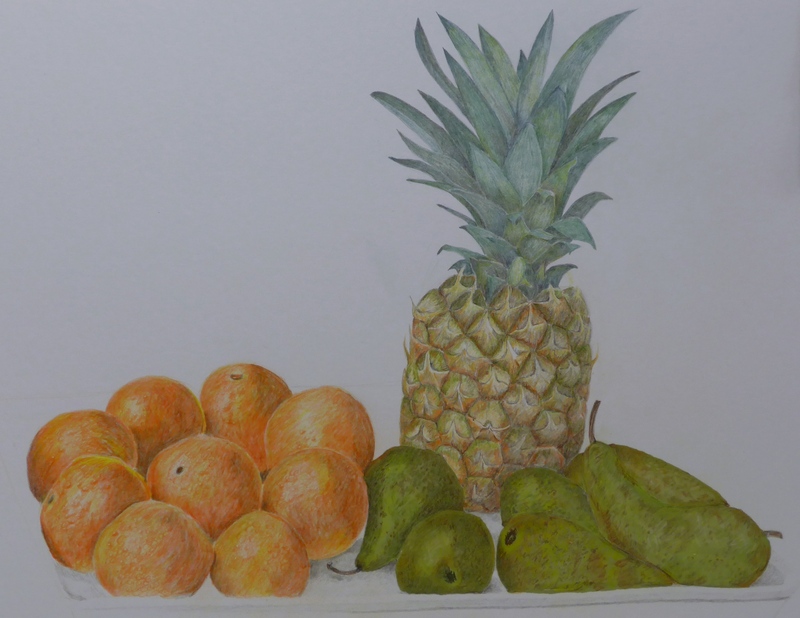 Here is the complete fruit bowl picture, the dish is ludicrously off and the oranges are floating off the plate, so it is not worth finishing. 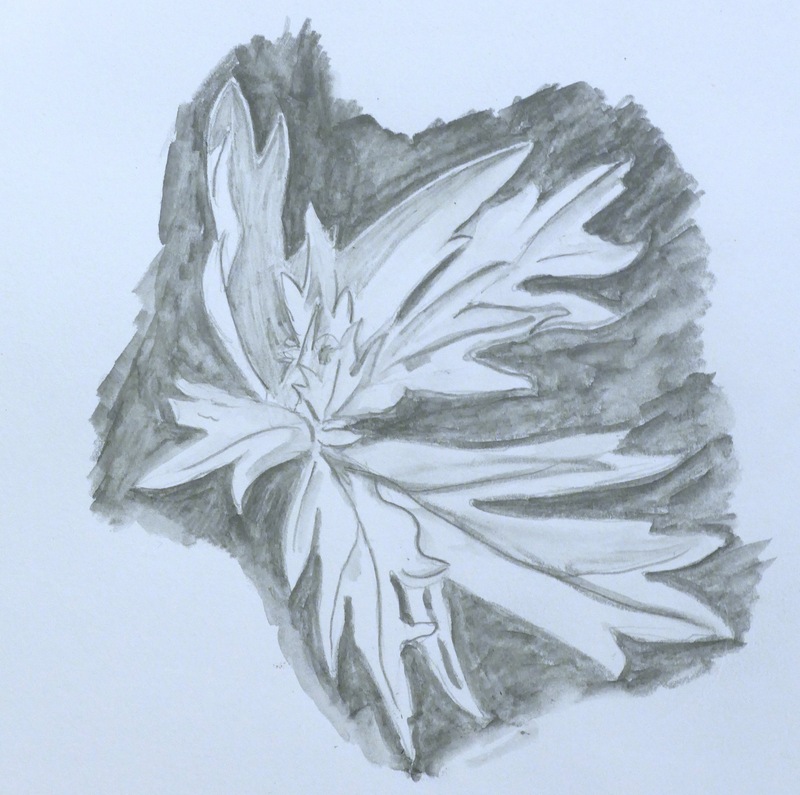 This entry was posted in Draws Shoots and Leaves on April 15, 2015 by Draws Shoots and Leaves. 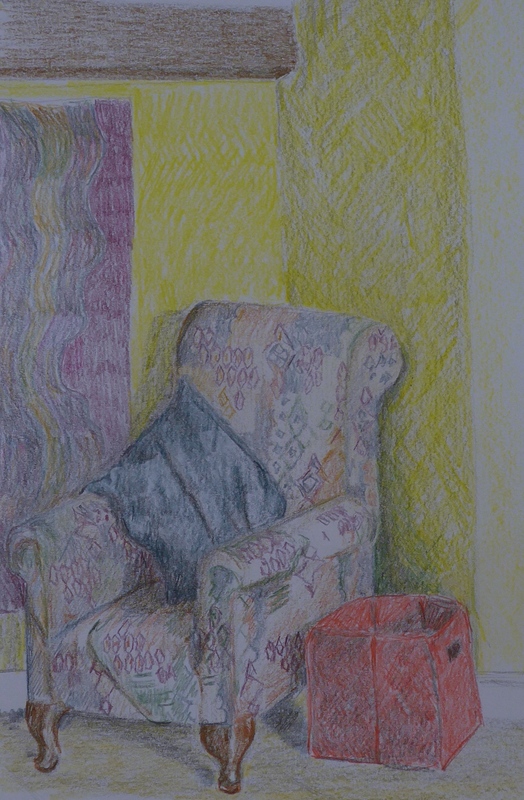 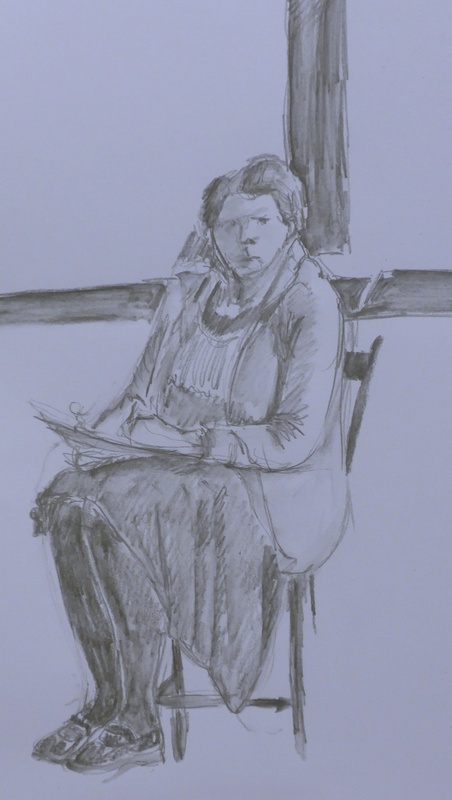 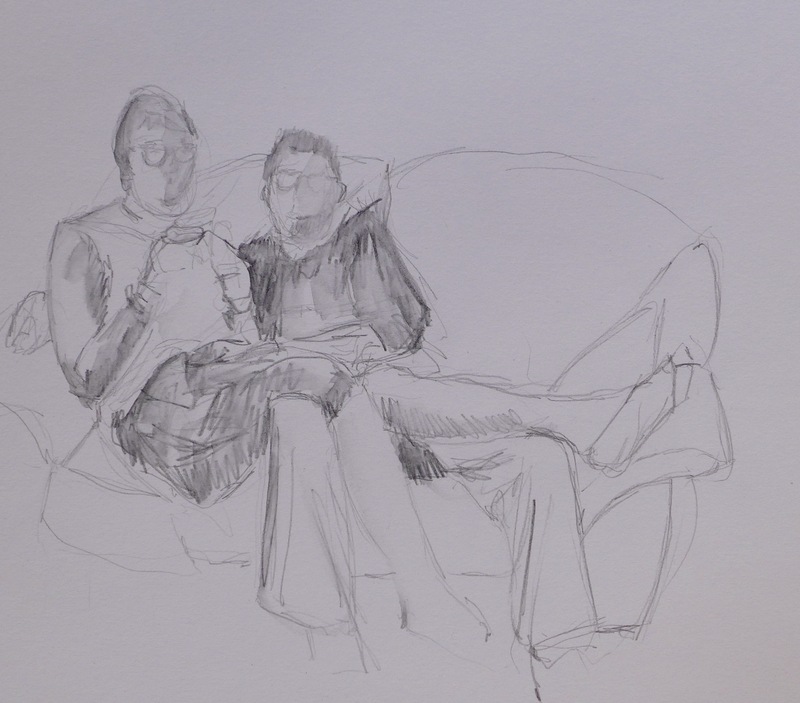 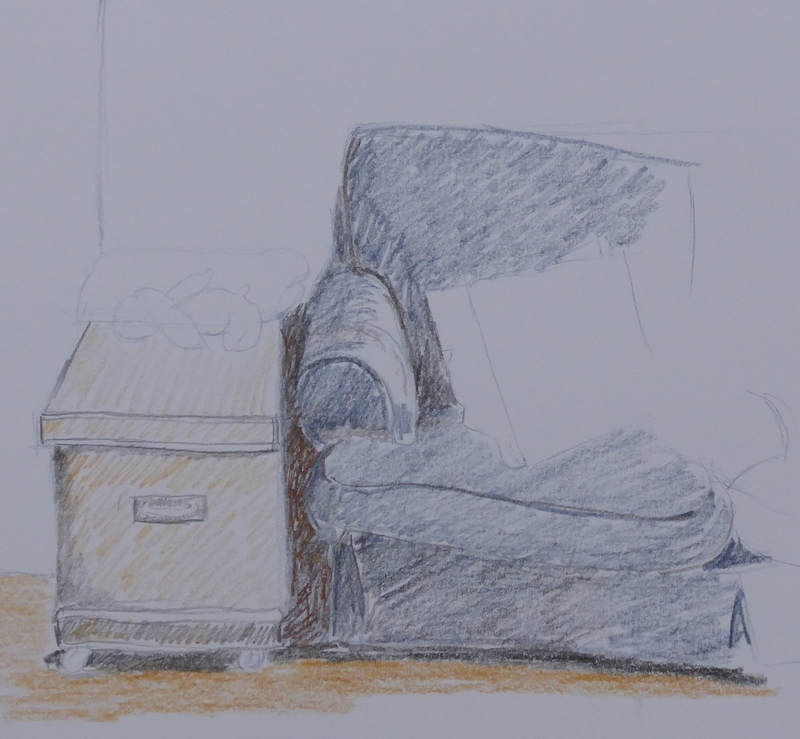 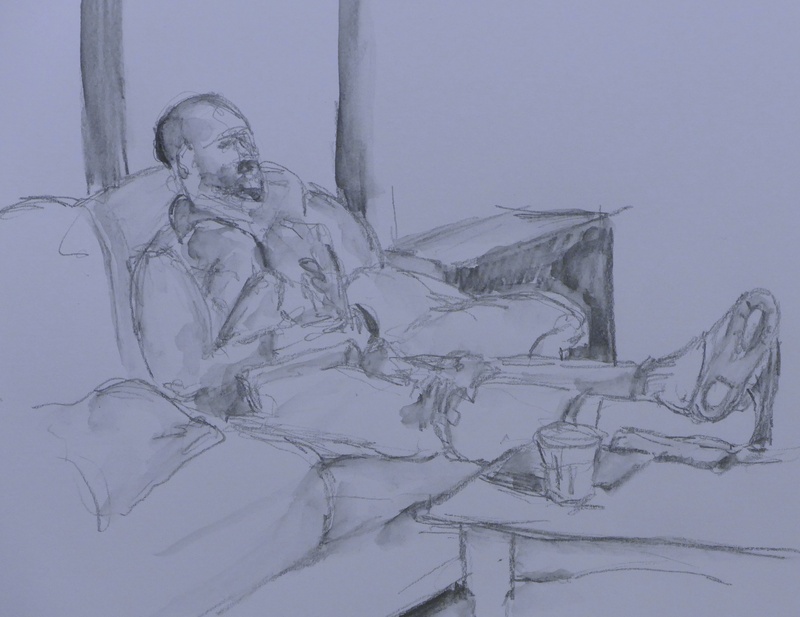 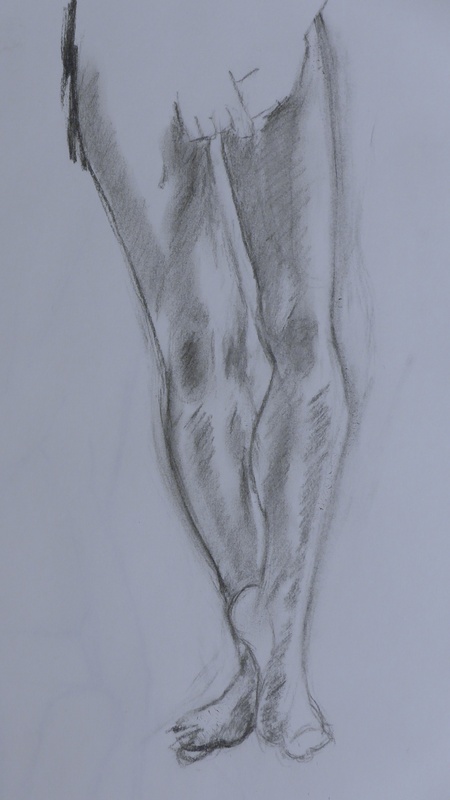 This was the last week for the current term, so the life drawing and the coloured pencil classes came to an end. 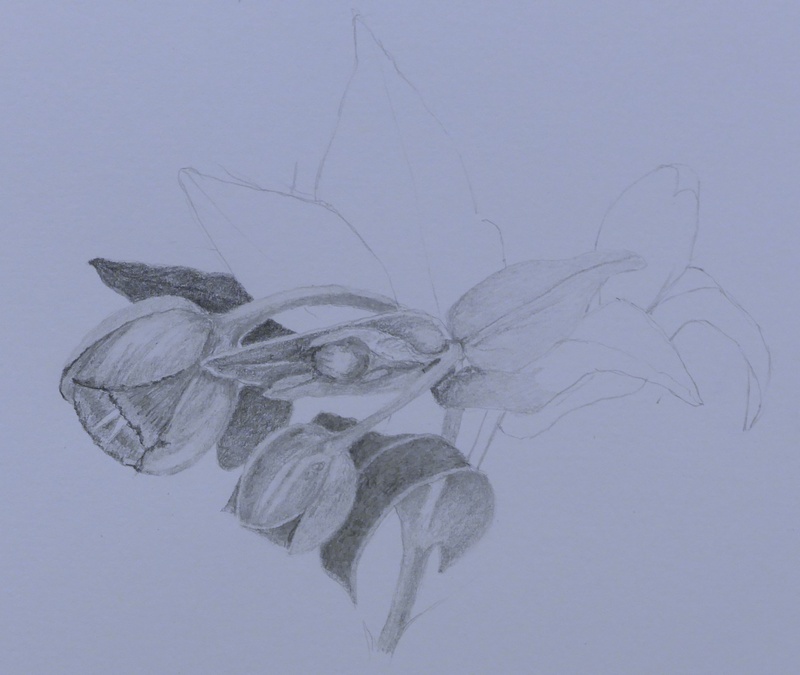 They were very enjoyable but I would not take two classes a week again, as it seemed to take up so much time. 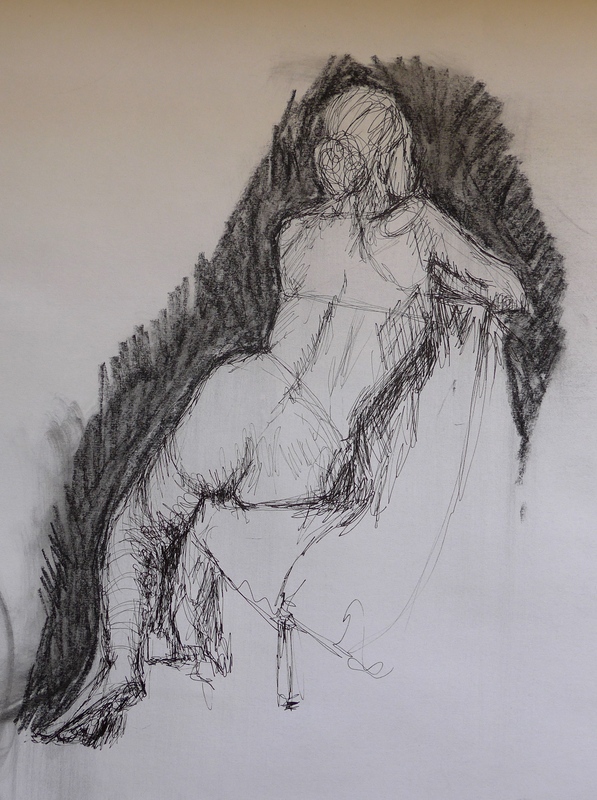 I have signed up for life drawing again but with a different teacher, it will be interesting to see how they differ. 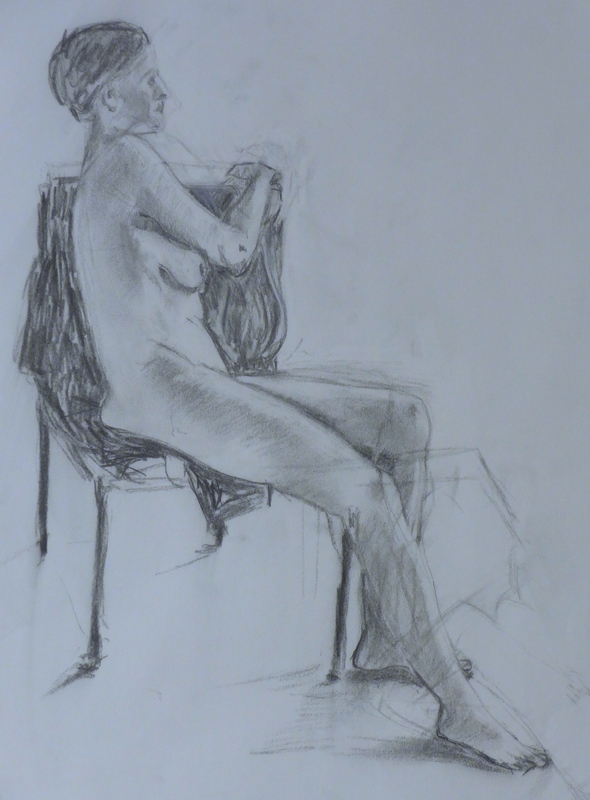 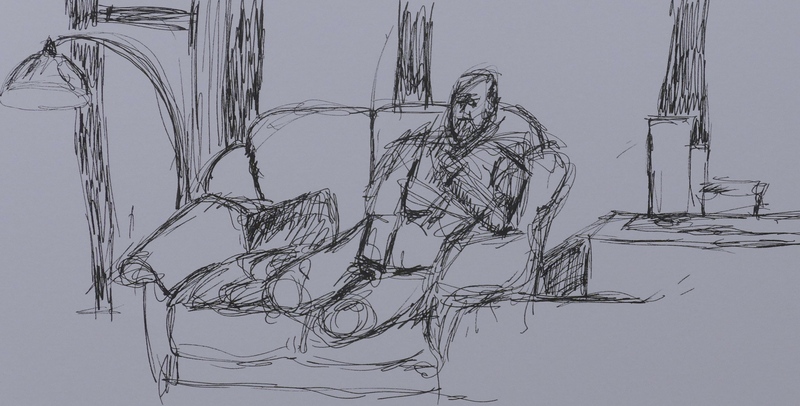 I have been very much drawn (no pun intended) to the figure since starting the regular life drawing. 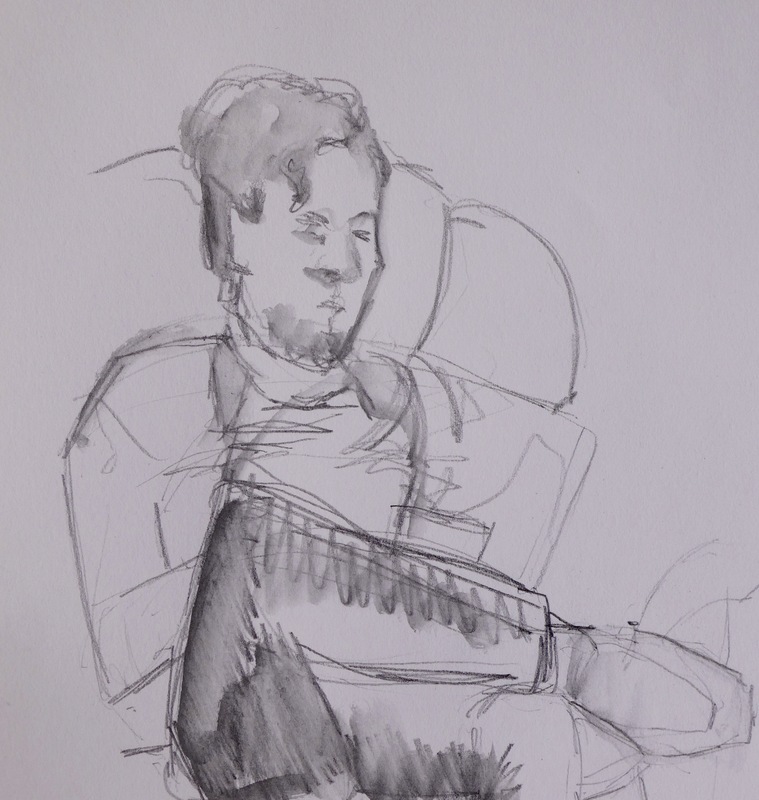 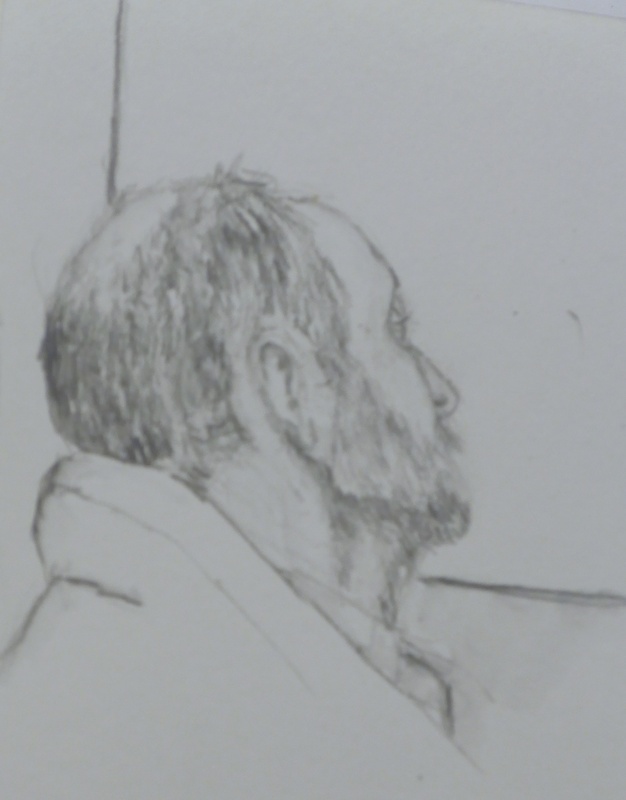 It is endlessly fascinating…… We went to the National Portrait Gallery on Saturday and saw the John Singer-Sargent exhibition called ‘Portraits of Artists and Friends’. 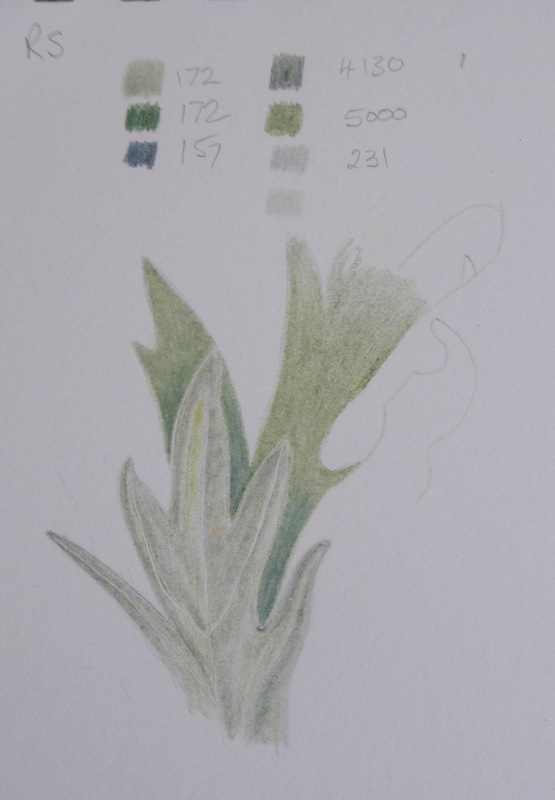 It was a wonderful show and Singer-Sargent had a fantastic skill for likeness and a lovely quick expressive way with his paintbrushes – it is inspirational to see a Master’s work. 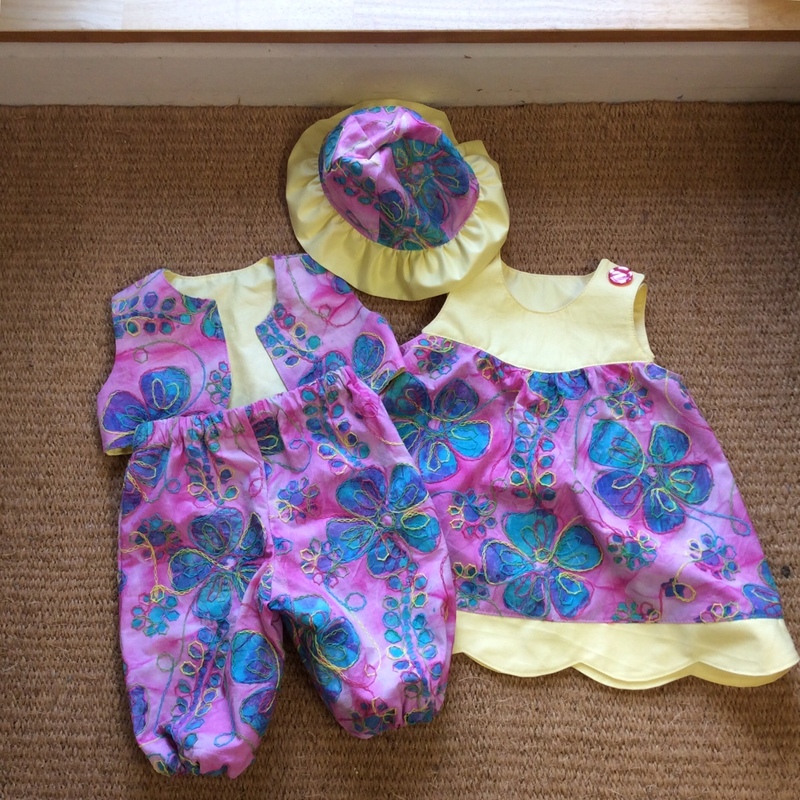 On the less inspirational level, here are my offerings for the week……..
You might wonder at the appearance of an overlocker – well I have been busy with a scrap of fabric that I acquired at a ‘swish’ and made something for my little granddaughter. 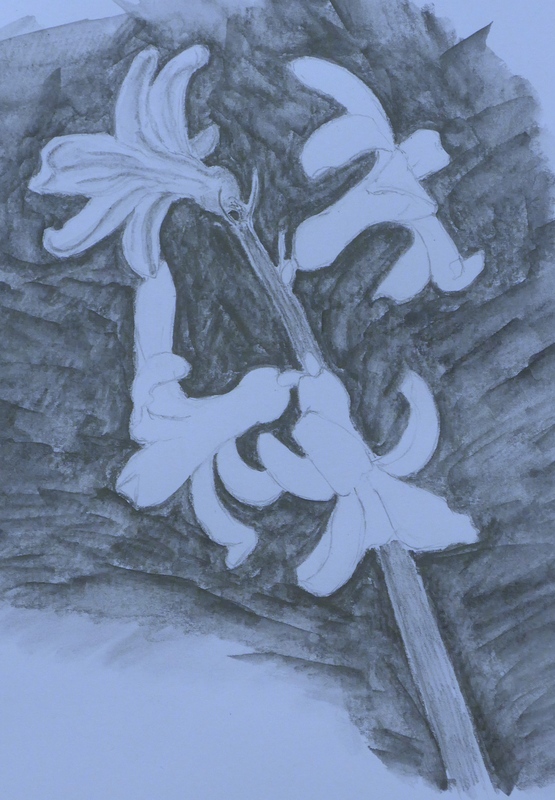 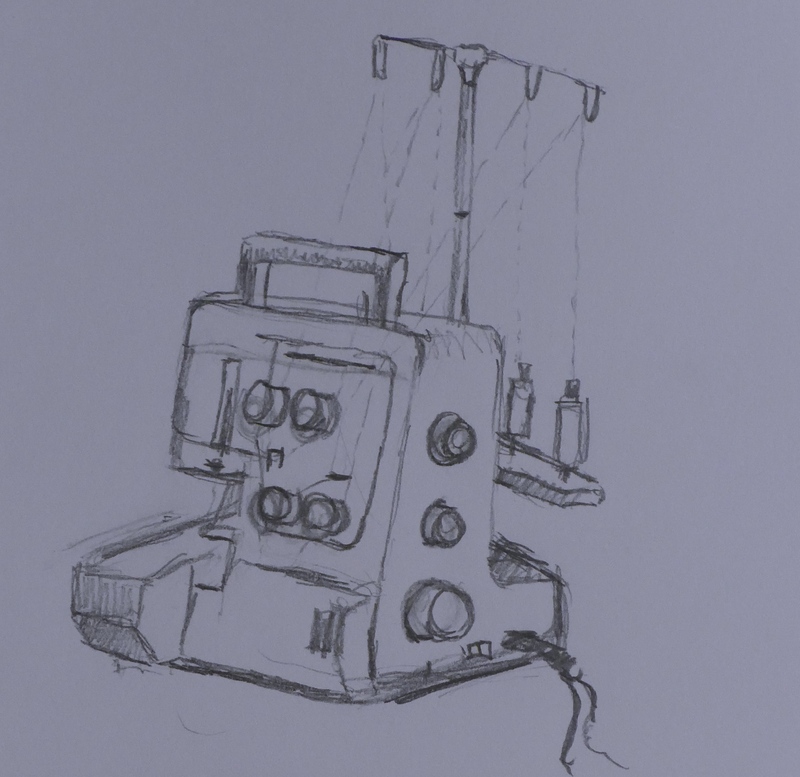 This entry was posted in Draws Shoots and Leaves on April 1, 2015 by Draws Shoots and Leaves.